STOCKHOLM (Reuters) - Mobile telecoms equipment company Ericsson beat fourth-quarter forecasts on Friday and said it was approaching its financial targets thanks to growing demand for next-generation 5G gear. The Swedish company has staked its recovery on rising demand for 5G equipment and could be well placed to benefit from current turmoil surrounding market leader Huawei. Excluding restructuring charges and other costs related to its Business Support System (BSS) operation, Ericsson's operating margin rose to 8.7 percent from 7 percent, marking the fourth consecutive quarter with steady improvements in profitability, with help from recent cost savings. The company this month said that it would book provisions of 6.1 billion Swedish crowns ($673 million) for the fourth quarter after a failed revamp of its loss-making BSS, which is part of its Digital Services business and provides real-time charging and billing products. Ericsson, which counts China's Huawei and Finland's Nokia as its main rivals, achieved an adjusted gross margin of 36.3 percent in the quarter, topping analyst forecasts for 31.7 percent and approaching its target of 37-39 percent by 2020. 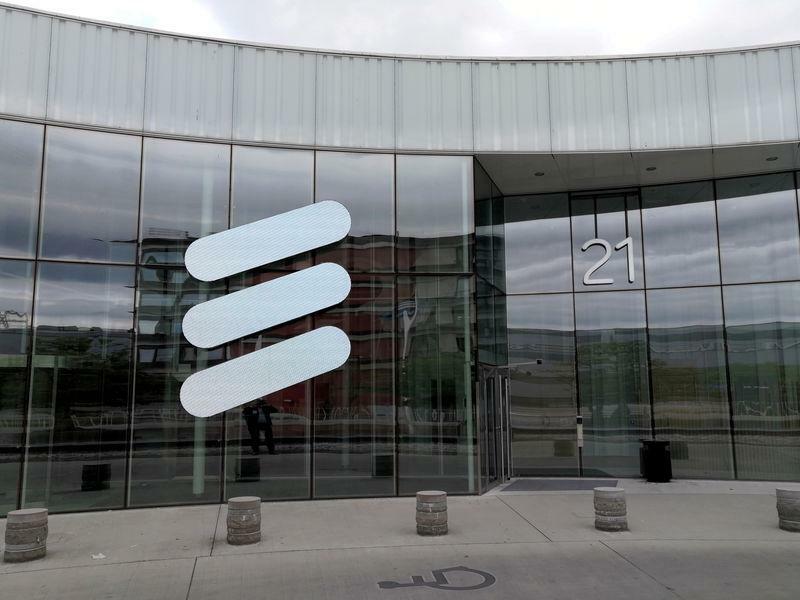 "Even though costs related to strategic contracts and 5G field trials will impact margins short term, they will help reaching our targets for 2020 and 2022 as well as strengthen our business in the long term," CEO Borje Ekholm said in a statement. The company posted an operating loss of 1.9 billion crowns, against a 19.3 billion crown loss a year ago and a 3 billion loss forecast in a Reuters poll of analysts. Sales rose to 63.8 billion crowns from a year-ago 57.9 billion, above a forecast 61 billion.